Are you dissatisfied with the state of your home’s current flooring? Do you want to make your flooring stand out and truly represent your personal tastes and favoured styles of design? Thanks to our focused, reliable, and competitively-priced selection of high-quality and durable timber flooring solutions the skilled and professional team at Euro Timber Flooring will endeavour to make your flooring dreams a reality. For over 20 years we have delivered outstanding flooring options to Bulleen residents and other customers throughout Melbourne. 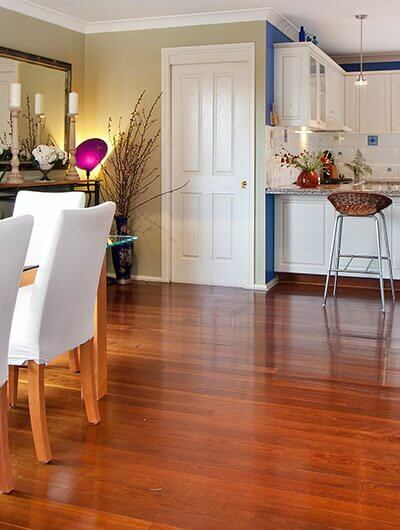 Our detailed and functional flooring solutions have helped Brighton, Hawthorn, Glen Waverley, and other residents in the metropolitan area breathe new life into their home’s interior. When searching for possible flooring solutions for your home’s interior you should always consider timber. Able to evoke strong feelings of warmth and style our timber flooring has improved homes throughout Bulleen, Chadstone, Canterbury, St Kilda, Ivanhoe, and other Melbourne suburbs. Committed to providing our customers with a complete flooring experience we proudly offer our products in a number of different styles and layouts including traditional planks, through to intricate and ornate parquet flooring. Renowned for delivering a warmer and more versatile flooring solution than concrete or carpeting timber flooring can bring your home closer to nature. Crafted from the best cuts of timber available on the market our range of timber flooring products can add a layer of depth to your property from the moment they are installed. To speak to a member of our team about the lasting benefits of timber flooring Bulleen homeowners can contact us today on 0415 110 099.